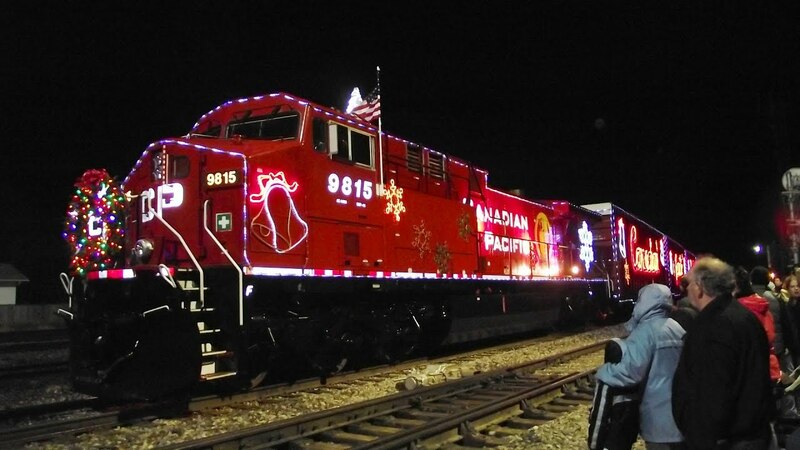 SGC Admin: 17th year of the Canadian Pacific Rail Holiday Train…. The Holiday train all decked out in lights, moves through Canada and the United States, stopping along the way to entertain the folk who come out… all for a donation to their local food bank… 🙂 It’s a fun way to get involved in your community and let the Christmas Spirit sink deep into your bones… 🙂 & the kids (of all ages) absolutely love it. Please check out the following link to see when the Holiday Train is stopping in your town, and for a list of the entertainers (among them Jim Cuddy, Devon Cuddy & Kelly Prescott) who will be coming out to entertain you..